Robert Silva, Jr., an automotive instructor at Honolulu Community College, takes great joy in sharing his automobile knowledge with his students. But for a long time, he wasn’t even allowed to drive. Silva originally graduated from the University of Hawai‘i at Mānoa in 1995 with a degree in Hawaiian Studies, and for 10 years, he worked as a math and science teacher at Damien High School. It was only in 2005, after having surgery to resolve the epileptic seizures that prevented him from driving, that he rediscovered his love of cars. After the surgery, he started working on his old Mustang, the same car which he had crashed years earlier as a result of a seizure while driving. Silva said if it hadn’t been for his former medical condition preventing him from driving, he doesn’t know if he would have even been interested in cars at all. 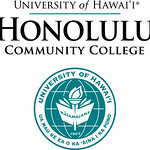 Living in Kāne‘ohe, Silva today teaches Automotive Electrical II and Air Conditioning for the Honolulu CC automotive department. Aside from his teaching duties, he also engages in traditional Hawaiian weaving and carving on campus. It’s something else to do with his hands other than fixing cars, Silva said. Silva bases his teaching style off the way he learned during the years he was a student at Honolulu CC. Considering the mechanical and technical aspects of the automotive field, Silva stresses math, physics, and electronics. Brute strength is no longer a requisite when working around cars. For Silva, the desire to know more goes hand-in-hand with teaching.